Combining the concept of #ThrowbackThursday and the Clinton Library 10th anniversary, the Convention & Visitors Bureau is offering a Throwback Thursday party this evening. Join the Little Rock Convention & Visitors Bureau for a “Big Downtown Thursdays“-style party in the River Market Ottenheimer Hall. The fun runs from 5:30 to 7:30 pm. 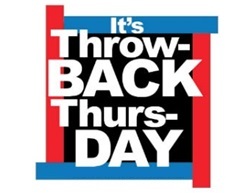 This Throwback Thursday event will be free and open to the public, and like “Big Downtown Thursdays,” which took place in the mid-to-late 90’s while President Clinton was in office, this will be a fun networking and social event, and will feature music by the Big John Miller Band. Food and beverages available for purchase. Originally planned for the outdoor pavilions (which were the final location of the Big Downtown Thursdays), due to the colder weather, tonight’s event has been relocated to the Ottenheimer Market Hall of the River Market. As part of the local Juneteenth celebration, Mosaic Templars Cultural Center hosts a day long event featuring activities, vendors, food and entertainment for the entire community. Events run from 11am to 5pm. This year’s music line-up includes Ricky Howard, Delya Russell, Foreign Tongues, Steven Young – Artists United, Butterfly featuiring Irie Soul, Epiphany and the Big John Miller Band. The museum will also celebrate an opening of a new exhibit on Arkansas African American legislators. 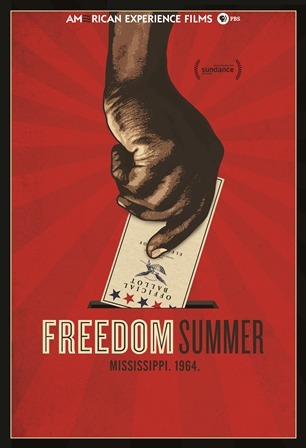 At 1pm, MTCC, in partnership with AETN, PBS and the UALR Institute on Race and Ethnicity, presents this free documentary film premiere of American Experience: Freedom Summer. The screening is in advance of the national broadcast premiere. This 2014 Official Sundance Selection from acclaimed filmmaker Stanley Nelson will premiere at MTCC in conjunction with the Annual Juneteenth Celebration of Freedom. This summer will mark the 50th anniversary of the 1964 Freedom Summer. As the campaign launches, 700 student volunteers are trained to register voters, teach in Freedom Schools, and help establish an alternate political party to represent the rights of those previously disenfranchised. After learning of these impending summer activities, the white establishment in Mississippi prepares to fight off an invasion. Young activists, students, and local citizens work through their fear together, hoping to make a difference in black communities. As the summer wears on, many of their fears are realized. A panel and Q & A will follow the premiere. Today, Juneteenth commemorates African American freedom and emphasizes education and achievement. It is a day, a week, and in some areas a month marked with celebrations, guest speakers, picnics and family gatherings. It is a time for reflection and rejoicing. It is a time for assessment, self-improvement and for planning the future. Its growing popularity signifies a level of maturity and dignity in America long overdue. In cities across the country, people of all races, nationalities and religions are joining hands to truthfully acknowledge a period in our history that shaped and continues to influence our society today. Sensitized to the conditions and experiences of others, only then can we make significant and lasting improvements in our society. A wild world of food and wine awaits guests at the 7th Annual Wild Wines of the World event at the Little Rock Zoo scheduled for this Saturday, May 11, at 7:00 p.m. This year’s event, presented by Wright, Lindsey, and Jennings, will feature dozens of wines paired with food from nearly two dozen of central Arkansas’s best restaurants. The unique wine and food stops are themed for particular wine countries and regions and also include other beverage stops for non-wine drinkers such as a margarita stop in Mexico and a beer stop in Germany. The Reserve Wine Room experience in Café Africa will open an hour early at 6:00 p.m. and will feature eight high-quality wines hand-picked by wine sommelier and beverage sponsor of the event, Jonathan Looney, of O’Looney’s Wine and Liquor in Little Rock. Those wines will be paired with delicious heavy hors d’oeuvres prepared by 1620 Savoy and Cache Restaurant. This higher-end experience is available for only a $35 ticket upgrade but tickets are available in limited quantities. As beverage sponsor of the event, Jonathan also selected each wine for the general event, as well, adding a touch of quality to this wine tasting event. “Wild Wines of the World features quality wines at every stop. O’Looney’s has taken great pride in donating quality wines to the Zoo and that means the Zoo now has one of the best wine events in central Arkansas. These wines are high quality, interesting and unique wines that a wine expert has hand-picked to showcase a wide variety of regions,” said Susan Altrui, manager for the event. Guests to the event will also receive a souvenir wine glass and plate and are greeted at the front entrance with strawberries and champagne. Guests then make their way around the Zoo to 20 stops where they will sample food and beverages and will likely meet some interesting animal friends showcased by the Zoo’s docents. Live musical entertainment this year will be provided by Big John Miller Band in the Civitan Pavilion and by Richie Johnson in the Reserve Room at Café Africa. Radiant Spirals from Memphis, Tennessee will perform fire acts and juggling. Tickets are $50 per person for general admission and $45 per person for Zoo members. Reserve Room tickets may be purchased for an additional $35. Tickets may be purchased online at www.LittleRockZoo.com/wildwines or by calling (501) 661-7208. No one under the age of 21 is admitted to the event and guests are reminded to wear comfortable shoes. All proceeds benefit the Arkansas Zoological Foundation for the Little Rock Zoo.